Induction technology is more responsive than gas or electric - and the Power Assist function generates rapid heat, so you can bring water to a boil quickly - in 90 seconds. Cooking with induction is 70% more energy efficient than gas and 20% more efficient than electric. Cooking with induction is more responsive than gas or electric - you can instantly adjust the heat to a delicate simmer or bring it to a boil. 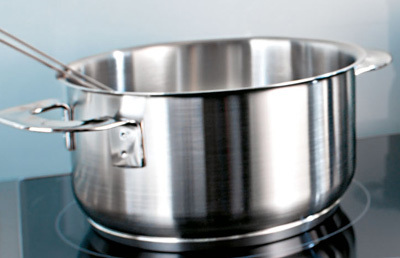 Boil water in 90 seconds with the 10" induction element, which offers 3,200 watts of power. 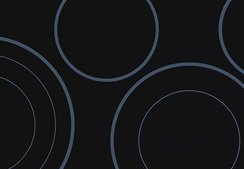 Adjust heat with pinpoint accuracy than gas or electric cooktops, especially at lower settings. 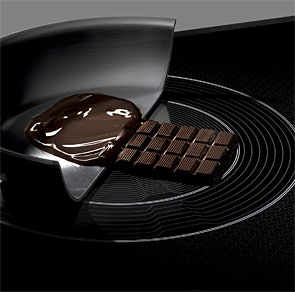 Perfect for melting chocolate and cooking delicate foods and sauces. 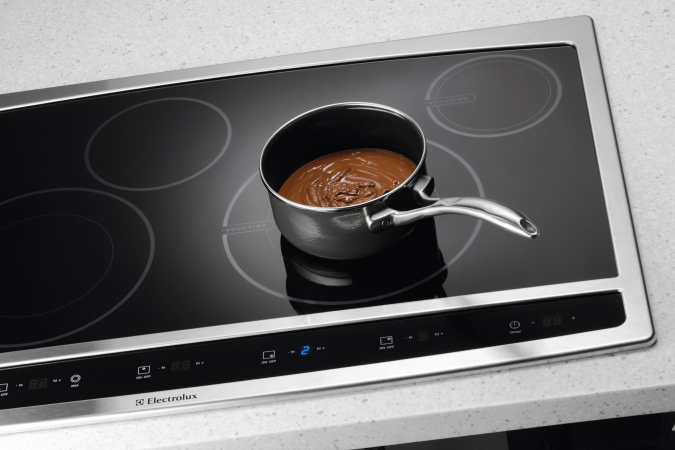 Electrolux induction hybrid cooktops include a combination of electric elements that are compatible with all cookware, and induction elements that are compatible with most cookware - if a magnet sticks to the bottom of the pan, it works. Two powerfully efficient induction elements, and up to three electric elements, give you ultimate versatility and the latest technology - all with a sophisticated smoothtop surface. 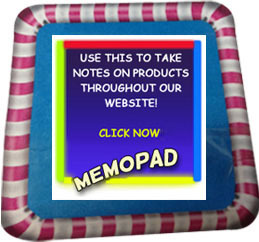 Plus, faster, more responsive heating, more energy -efficient cooking and easier cleanup. It takes cooking to a whole new level by combining the benefits of gas and electric cooktops - the power of gas and the easy cleanup of electric. Induction technology eses electromagnetic energy to transfer heat directly to cookware - heating it more quickly than gas or electric cooktops for aded energy efficiency. 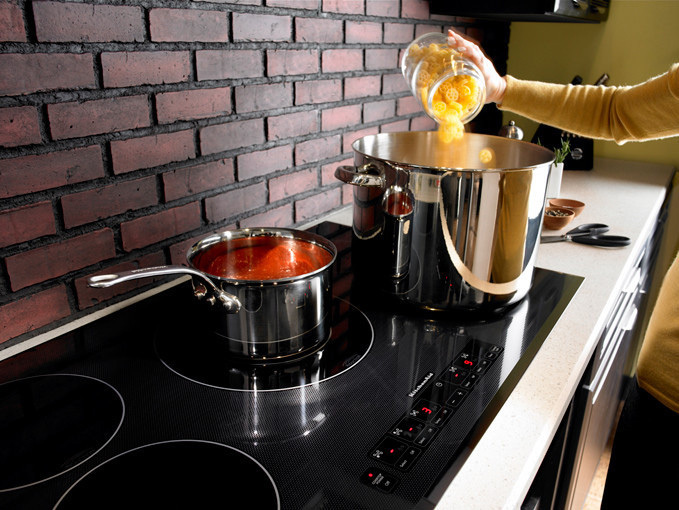 Induction also allows for more precise control when cooking - you can instantly adjust the heat to a delicate simmer or bring it to a quick boil. Yet the cooktop remains cooler to the touch. Cooktop Stays Cooler. 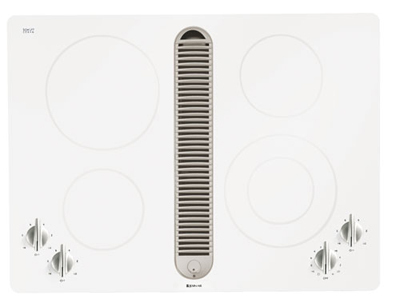 Heat is transferred directly to the cookware, so the cooktop stays cooler – making it easier to clean. Power Assist Function.Generates rapid heat for a quick boil. Keep-Warm Setting.Maintains food at the perfect serving temperature, so it’s ideal for entertaining. Perfect Set™ Controls.Up to 25 digital preset touch settings immediately raise or lower temperatures so cooking can begin at any time - without waiting for preheating. 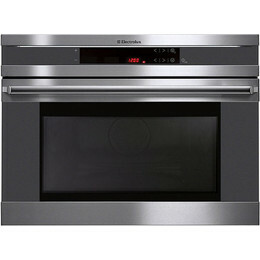 Perfect Over a Wall Oven.Mounts above a single wall oven for additional installation options. Surface Sensors.These sensors automatically detect the presence of magnetic cookware, activate the induction field and adjust it to the exact size of the pan. Whether it's to prepare a quick snakc or a spectacular side dish, an Electrolux built-in microwave with drop-down door is the perfect space-saving solution. 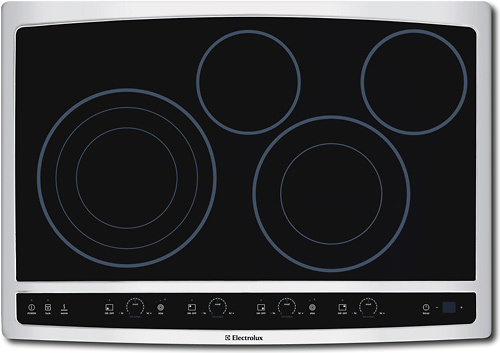 Induction cooking is an advanced cooking technology that uses electromagnetic energy to generate instant heat to the cookware. 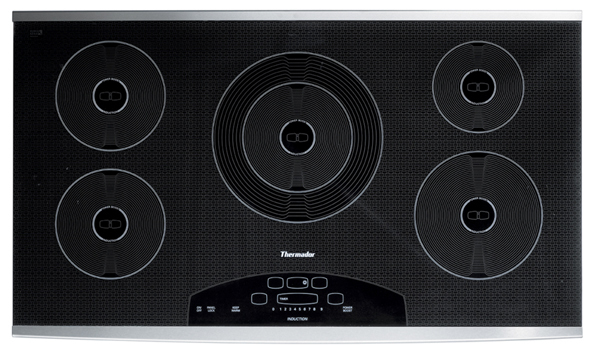 This provides faster heating times while using less energy that a conventional cooktop. With induction, the ceramic-glass surface stays cooler because heat is transferred directly to the cookware - not through the cooktop surface. Induction technology provides immediate response so heat can be increased or decreased quickly. 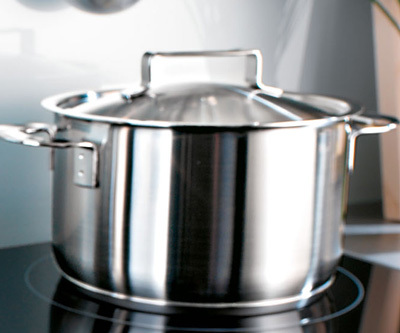 Kitchen-Aid® induction cooktops are so responsive they can quickly go from boil to simmer. Induction technology provides a more time and energy effucient cooking method than gas or electric cooktops. Integrated touch-activated cooktop controls offer 18 heat-level settings - from keep warm to oerformance boost - to provide responsive temperature management. 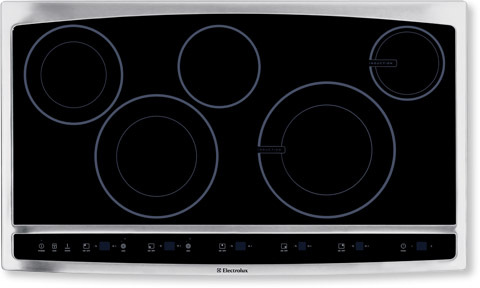 Induction electric tops are the safest and most energy efficient cooktops on the market. Induction tops are pressure sensitive and will automatically switch itself off after pots and pans are removed from the burners. This feature is vital to protect from common injury burns, and saving energy from forgetting to turn off the cooktop.